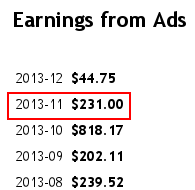 If you’re curious to know why I’m sharing my online income reports, check here. November has been busy on many fronts, particularly on the offline businesses. I ended up working two days as translator in an international expo, of languages I don’t even know. It was fun. WordPress freelancing is rolling, it’s amazing to see how much demand is out there. I delivered two websites and another one is almost done. And thanks to word of mouth, I started collaborating with a bigger company that needs some on-demand consultancy. Last but not least, I helped a couple of Italian investors doing house shopping in Amsterdam. This is a new branch of the “Daniele Besana Heavy Industry” co.
Finding a good website to buy ain’t easy. So why not loosing the chance in a stupid way? I put my eyes on a website about games mods (modifications for video games), I did my due diligence, had a conf call with the current owner, discussed details, and negotiate the price. After all this work, I left to have a coffee with a friend, but in the meantime the seller agreed on my last offer, lowered the price on Flippa and… someone else bought the site before I finished my espresso. Shiiiiiiiiiiit! On AidBoard.com I turned off the possibility to post jobs for free, so now to post a job an organization must pay for the service. I did it as an experiment, but to be honest it didn’t bring more revenues. It seems that the organizations that were advertising for free before, just stopped doing so rather than paying for the service. I’m sure a marketeer would say that it’s very hard to ask money for something that was free. My answer to that is that I could only try and measure the results. I’ll keep monitoring before making conclusions on this. The content marketing is becoming huge, and lots of folks are working to create better content than ever for their clients. Mostly are writing guest posts with backlinks to improve their client SEO. And the good news is that they have budget too! So this month I got some paid posts on my different blogs, which is good and is a trend that is here to stay… at least until Google will make this practice useless (or punish it, like they did for poor quality backlinking in the past). Google Adsense got a good +30% increase from last month, not a real growth but more of a coming back to normal levels after the poor performance of last month. 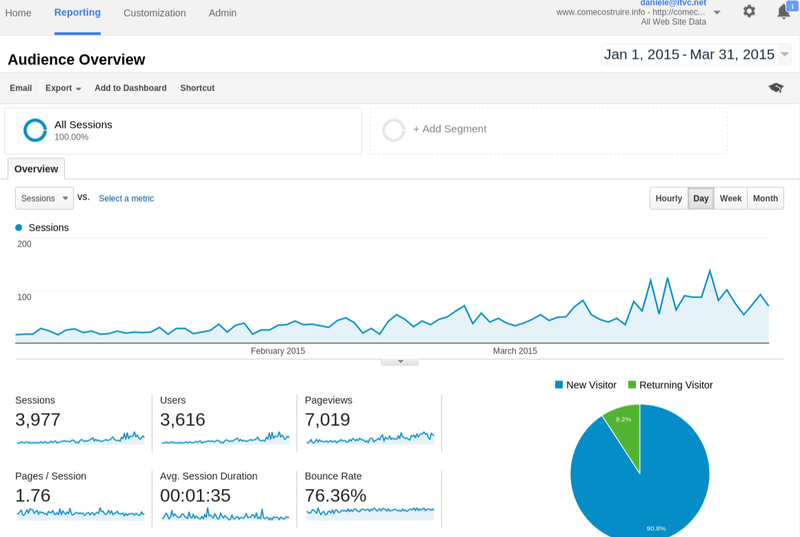 Traffic is rising again on my top job website, after I deleted old jobs causing a big impact on the referral traffic. But… some job search engines reduced the time they keep jobs listed in their database, so I don’t expect the traffic to raise to the level of few months ago, but rather I expect less and less traffic from websites like indeed, opcionempleo, trovit and mitula… unless I pay for traffic, of course. Allright, as expected the Feedblitz earnings went back to normal after the huge exploit of last month. Since November I’m also monetizing the previously ads-free newsletters of RouterFreak.com – it should provide some more dollars. Too bad that Feedblitz reporting system doesn’t allow to see the performance per-feed, but give only summarized data. This is a bad result! I was really hoping in a recovery, but once again those source is fluctuating a lot. And the bad news is that December is normally a quiet month for the recruitment world, so I don’t expect anything better. Switching off the free basic listing on AidBoard.com gave no results so far. I had a new activation but also some cancellation, so not really growing up either! I tried to promote a new affiliate product, but didn’t get much of a success. Again, I’ve to invest more time in testing new products and see how the visitors react to the offers. This is a combination of paid blog post (3) and direct ads (2). This went quite good, as I close a deal with an University that is running a campaign on AidBoard.com and also I sold some paid posts on my blogs. I generally see a trend where companies are investing in smart SEO, so they have budget for sponsored posts that are informative, rather than sales-letters, but containing some backlinks to the website they’re promoting. I’m a bit disappointed by some results here, but for most of them I can only blame myself. The lesson this month is that results are proportional to the time spent working on the projects. Being busy with the offline businesses, I could not dedicate much time to test new affiliate products, doing some SEO work, and keep performances under constant monitoring. This brings the revenues down rather than up in the long run. Looking for passive income? Then put everything on a saving account. That’s the only “set & forget”technique I know! I hope to hear some comments this month too, and thanks for reading! I created a dedicated mailing list if you want to receive future monthly reports notifications. Sorry to see the dip in income but hopefully it will recover after the 1st of the year. I am still impressed by your income levels but would be interested to know what is your current return on investment? The return of investment depends on the website, it’s normal to pay a web property 10-18x the monthly net profit depending on many factors. Overall, as you’re also a technical dude, I would really suggest you to look into website investment, let’s talk about it! That’s a great income report. I am also thinking of posting income reports on my blog, but currently I am earning only through Adsense and that’s why I am not writing about it. I want to create more income sources like affiliate marketing and advertising and once I get a regular stream then only I would be posting about my income. You have a nice and diversified income source. Keep in touch and let us know where you’ll publish them! This is a great income report filled with a lot of diversity, nice job! I am going to shoot you an email with some questions if you don’t mind.